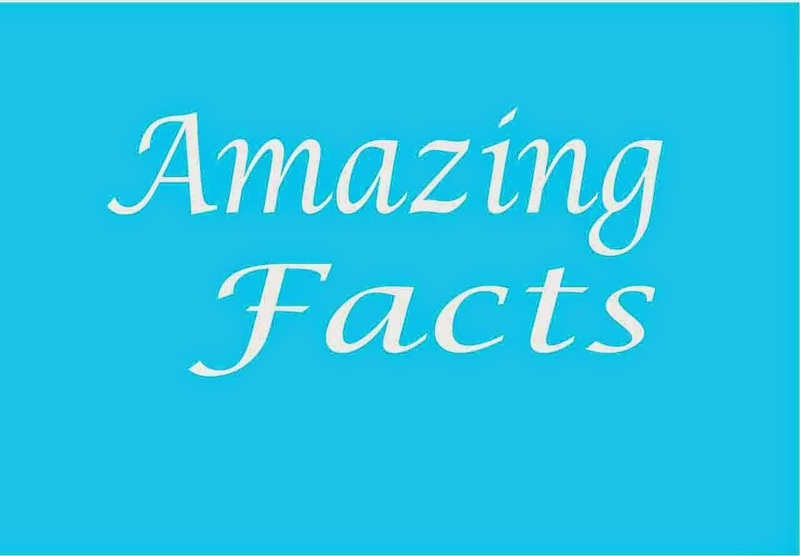 Some Amazing Fact Which May be Surprise You.- Part - III | Study Valley - A Complete Education Blog. Fact: About 11% of people in the world are left-handed. Fact: About 65 billion neutrinos will pass through your fingernail in a second. Fact: If all the LEGO bricks ever manufactured were clipped on top of one another, they would make a tower ten times as high as the distance to the Moon. Fact: Light would take 0.13 seconds to travel around the Earth. Fact: If you drilled a tunnel straight through the Earth and jumped in, it would take you exactly 42 minutes and 12 seconds to get to the other side. Fact: Earth Day was first observed on April 22, 1970, when an estimated 20 million people nationwide attended the inaugural event. Fact: A single bolt of lightening contains enough energy to cook 100,000 pieces of toast. Fact: There are 8 times as many atoms in a tea-spoonful of water as there are tea-spoonfuls of water in the Atlantic ocean. Fact: If the Sun were the size of a beach ball then Jupiter would be the size of a golf ball and the Earth would be as small as a pea. Fact: An average person walks the equivalent of three times around the world in a lifetime. Fact: If you could drive your car straight up you would arrive in space in just over an hour. Fact: More germs are transferred shaking hands than kissing. Fact: The human brain takes in 11 million bits of information every second but is aware of only 40. Fact: A red blood cell can make a complete circuit of your body in 20 seconds. Fact: Each person sheds 40 lbs of skin in his or her lifetime. Fact: The first May Day celebration in India was organised in Chennai by the Labour Kisan Party of Hindustan on 1st May 1923. Fact: Girls have more taste buds than boys. Fact: Octopuses have three hearts. Fact: Female black widow spiders eat their males after mating. Fact: An electric eel can produce a shock of up to 650 volts. Fact: Astronauts cannot burp. This is because there is no gravity to separate liquid from gas in their stomach. Fact: Adult lungs have a surface area of around 70 square meters. Fact: Mother’s Day is the third most popular holiday in the world, second only to Christmas and Easter. Fact: As well as having unique fingerprints, humans also have unique tongue prints. Fact: The human brain uses up about 20% of the body’s entire oxygen and calories. Fact: Apart from identical twins every single person on Earth has a unique smell. Fact: International Nurses Day is celebrated around the world on 12th May of each year, to mark the contributions nurses make to society. Fact: You are about 1 cm shorter at night because the cartilage between your bones is compressed throughout the day. Fact: Women blink twice as much as men. Fact: The total amount of saliva produced by an average human in his entire lifetime is enough to fill two swimming pools. Fact: After eating too much, our hearing is less sharp. Fact: Your feet have half a million sweat glands that produce over a pint of fluid everyday. Fact: Human babies can only see black and white when they are born. Fact: Cornea is the only part of human body without a blood supply. It gets its oxygen directly from the air. Fact: The leg bones of a bat are so thin that no bat can walk. Fact: The animal with the largest brain in relation to its body is the ant. Fact: Cheetahs can accelerate from 0 to 70 km/h in 3 seconds. Fact: Lobsters have blue blood. Fact: Shark’s teeth are literally as hard as steel. Fact: A mosquito has 47 teeth. Fact: The heart of giraffe is two feet long, and can weigh as much as twenty four pounds. Fact: A cockroach can live for several weeks without its head. Fact: Ants do not sleep. Fact: Despite the hump, a camel’s spine is straight. Fact: Crocodiles swallow stones to help them dive deeper. Fact: Giraffes are unable to cough. Fact: Tigers have striped skin, not just striped fur. Fact: A cat’s jaws can’t move sideways. Fact: Our eyes are always the same size from birth, but our nose and ears never stop growing. Fact: The word ‘Scientist’ first appeared in 1883. Prior to this scientists were referred to as ‘men of science’ or ‘natural philosophers’. Fact: The average number of readers of any given published scientific paper is said to be 0.6. Fact: During photosynthesis, plants emit light, called fluorescence, that is invisible to naked human eyes. Fact: Pluto takes 248 years to orbit the sun. Fact: Africa is larger than China, USA, India, Mexico and a big part of Europe combined. Fact: There are about 173,000 venomous species: from lizards to spiders and fish. Fact: Graca Machel is the only woman to have been first lady of two separate countries - Mozambique and South Africa. Fact: -40 degrees fahrenheit is equal to -40 degrees celsius. Fact: The smell of rain is caused by a bacteria called actinomycetes. Fact: The summer in Uranus is 42 years long. Fact: In 1999, the founders of Google actually tried to sell it to Excite for just US $1 million. Excite turned them down. Fact: Construction workers in Brazil cemented a car on a pavement after its driver refused to move it. Fact: In the U.S., there’s an official rock paper scissors league. Fact: People in Africa and Asia have to walk an average of 3.7 miles to collect water. Fact: If you search for the word ‘askew’ in Google, the content will tilt slightly to the right. Fact: In Dorset, Minnesota, a 3-year old boy was elected as mayor. Fact: In ancient Greek, the word ‘Idiot’ meant anyone who wasn’t a politician. Fact: The most overdue library book was returned 288 years late. Fact: There is a French company that you can hire to kidnap you. Fact: The first Google Doodle was dedicated to the burning man festival attended by Google founders in 1998. Fact: The world's biggest family lives together in India: A man with 39 wives and 94 children. Fact: 70% of all the world’s spices come from India. Fact: The first rocket in India was so light and small that it was transported to the Thumba Launching Station, Thiruvananthapuram, on a bicycle. Fact: India is the world's largest producer of cinema, with around 1300 films made annually. Fact: On April 29, 2009, A P J Abdul Kalam became the first Asian to be bestowed with the Hoover Medal for his outstanding contribution to public service. Hoover Medal is America’s top engineering prize. Fact: The world's first granite temple is the Brihadeswara Temple at Tanjavur, Tamil Nadu. Fact: Dr. Kalam was a scholar of Thirukkural (a classic of couplets or kurals). In most of his speeches, he quoted at least one kural. Fact: A P J Abdul Kalam was the third President of India to have been honoured with a Bharat Ratna before being elected to the chair of President. Fact: The ‘Place Value System’ and the ‘Decimal System’ were developed in India in 100 B.C. Fact: India has banned keeping captive dolphins, stating that dolphins should be viewed as ‘non-human persons’. Fact: The first mobile phone, Motorola Dynatac, was made available to the public in 1983 at a whopping cost of USD 3995. Fact: In Britain more than 100,000 mobile phones are dropped down in the toilet every year. Fact: The fear of having no cell phone signal is known as Nomophobia. Fact: The human brain stops growing by the age of eighteen. Fact: A marijuana-derived compound forces cancer cells to freeze and prevents them from spreading. Fact: The ‘Wat Pa Maha Chedi Kaew’ Temple in Thailand was constructed with 1 million bottles of Heineken and a local beer. Fact: Rastafarians are legally allowed to possess marijuana in Italy due to it being a ‘Sacrament’ to the religion. Fact: Every Apple iPhone ad displays the time as 9:41 AM, the time Steve Jobs unveiled it in 2007. Fact: When the first prototype of Apple’s iPod was shown to Steve Jobs, he dropped it in an aquarium and used the air bubbles to prove there was empty space and it could be made smaller. Fact: Apple’s iPhone consumes US $0.25 worth of electricity per year if it’s fully charged once a day. Fact: At 17 years old, Malala Yousafzai is the youngest recipient of the Nobel Peace Prize since its inception in 1901. Fact: Women can fly airplanes in Saudi Arabia, but can’t drive cars. Fact: Isaac Newton’s “Principia Mathematica” contained a simple calculation error that went unnoticed for 300 years. 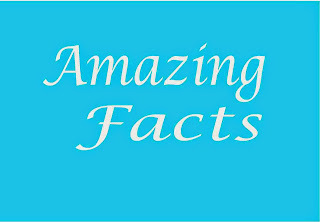 act: According to the Guinness Book of World Records, India ranks third behind the USA and the UK in the number of records claimed each year. Fact: Scientists have discovered that monkeys are susceptible to optical illusions, just like humans. Fact: The Labrador dog is from Newfoundland and the Newfoundland dog is from Labrador. Fact: Hours before his death, Einstein was still attempting to prove his Theory of Everything. Fact: The word “Infant’ comes from the latin word “infans”, meaning - unable to speak or speechless. Fact: The world’s smallest snail can fit 10 times in the eye of a needle. Fact: A single lego brick can take 432 kg (950 lbs) of pressure before it cracks. Fact: On August 10, 2015, NASA astronauts ate food that had been grown in space for the first time. Fact: Over 30 of Paul Walker’s cars were stolen from a warehouse within 24 hours of his tragic death. Fact: The world record for most claps in one minute is 1,020. Fact: There’s a prison in Brazil that allows inmates to pedal stationary bicycles, providing electricity to a nearby city in exchange of reduced sentences. Fact: If you die in Amsterdam without any friends or family left to attend your funeral, a poet will write a poem for you and recite it at your funeral. Fact: Susan Wojcicki, the woman who rented her garage to Larry Page and Sergey Brin in 1998 when they were creating Google, later became the CEO of Youtube. Fact: Hundreds of prisoners were left to die in their cells during hurricane Katrina as officials abandoned Orleans Parish Prison. Fact: When awake, the human brain produces enough electricity to power a small light bulb. Fact: In 2015, astronaut Chris Hadfield released the first album of songs recorded entirely in space. Fact: The smell of chocolate increases theta brain waves, which triggers relaxation. Fact: Apples, peaches and raspberries are all members of the rose family. Fact: Elvis Presley didn’t write any of his songs. Fact: There are more English words beginning with the letter “S” than with any other letter. Fact: In the early years of the 20th century, horses were causing so much pollution with their poop that cars were seen as the “green alternative”. Fact: Gandhi never won the nobel peace prize, despite being nominated five times. Fact: Square watermelons are grown by Japanese farmers for easier stack and store. Fact: The colour orange is named after the orange fruit, but before that, it was called Geoluread (yellow-red). Fact: The world's most expensive musical instrument, a Stradivarius Violin, was sold in 2011 for USD 15.9 million. Fact: In 2009, Nigerian police arrested a goat on suspicion of attempted armed robbery. Fact: Charles Darwin ate every animal he discovered. Fact: Alexander the Great, Napolean, Mussolini and Hitler, all suffered from Ailurophobia - the fear of cats. Fact: There are 24 different dialects of English in the US. Fact: “Screeched” is the longest English word with one syllable. Fact: The sport of “ultimate frisbee” is recognised by the International Olympic committee. Fact: The “Coco de Mer” palm tree has the earth’s largest fruit, weighing 42 kg (92 lb), and seed weighing 17 kg (37 lb). Fact: Until the 19th century, the English word for actors was “Hypocrites”. Fact: Only one-half of a dolphin’s brain goes to sleep at a time. Fact: The song Jingle Bells was originally written for Thanksgiving. Fact: The world's first labour strike was held on the site of a pyramid. Fact: Sea otters hold hands when they sleep so they don’t drift away from each other. Fact: The shortest complete sentence in the English language is “Go”. Fact: If earth were to suddenly stop spinning, inertia would cause everything (including ocean water) to jerk sideways at 1,600 kph. Fact: Hugging for 20 seconds releases Oxytocin, which can make someone trust you more. Fact: A chameleon’s tongue is twice as long as its body. Fact: A marshmallow hitting the earth at the speed of light would cause an explosion equal in energy to the power of a few dozen hydrogen bombs. Fact: With the view that Swami Vivekanand’s philosophy can be a great source of inspiration for Indian youth, his birthday - January 12 is celebrated in India as the ‘National Youth Day’. Fact: On Venus, it rains sulphuric acid and snows heavy metals. Fact: Camels have three eyelids to protect their eyes from the sand.